The East Bengal star has been served with an ultimatum by the Kerala State Electricity Board to return to his job or face the axe. In the last few years, football in India has been taking gigantic strides. Reminisce to a day three years ago and then come back to the present, you could precisely understand the evolution that has taken Indian football by storm. After years of relentless work and so-called futile attempts, football in the country has been able to make the society understand that it is not absent from the second populated nation in the world. There has been a massive growth in the number of fans, who are ardent followers of this beautiful sport. But, there's a problem. The authorities make you feel as though they've changed, adapted to the evolution but they have not. They play hide-and-seek with you, their decisions are often flakey and yet they will deceive your eyes from realizing the fact. So, what significance does this obvious fact hold here? 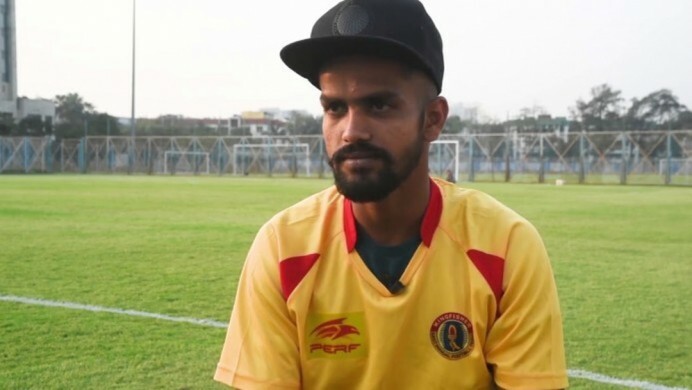 Jobby Justin, a player who once was the trump card for Kerala in the Santosh trophy, a player who is now in the ranks of I-League behemoths East Bengal, is asked to return back to his job at the Kerala State Electricity Board and abandon his tenure at EB. Justin's case might be just another for the men at the helm, but it is his life with which they are playing. As East Bengal qualified into the semi-finals of the inaugural Super Cup, everyone in the squad was celebrating, except for Justin. 'If I don't reply the memo within 15 days, strict disciplinary actions will be taken," said Joby. " I'm now in East Bengal's camp, who're playing Super Cup semi-finals," said Jobby desperately when he was asked what decision has he taken. "I don't know. I have a two-year contract with East Bengal. 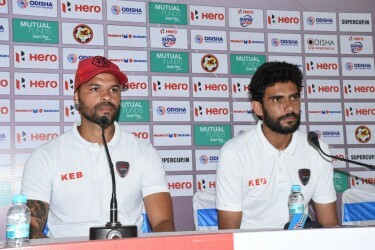 If I go back, it won't help me get a call-up to the national team," said Jobby when we enquired with him about whether switching his base to any Kerala-based clubs would solve the issue. Earlier, Kerala Blasters' striker CK Vineeth was at the brink of losing his job too, but after a series of nation-wide protests, the Kerala government came up with a quick resolution and brought the speculation to an end by offering him a new job in the Kerala secretariat. The decision taken by the KSEB is completely ridiculous. They disregarded his situation. They ignored who he is. They did not pay attention to the fact that he is a player striving to make a cut into the national squad. If it was to be taken away later, what was the objective of giving him the job in the first place? They will take strict action against Jobby, if he doesn't reply the memo with a satisfactory answer within the allowed period. But, what would that achieve apart from destroying his career? Destroying the passion of those who're willing to take up football as a profession? If this is the situation in Kerala one has to wonder what its like in other parts of the country. In a football-healthy Kerala, there are many initiatives under process to mould the best out of the potential the state has. Travel through the state and you will see innumerable people filling the stadiums, fueling the atmosphere. 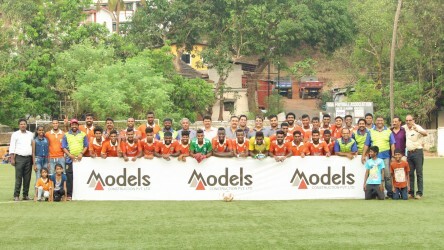 Go, visit a Sevens Football match in Kerala and count the spectators and then compare it with that of the Indian Super League or the I-League. Surely you would find Sevens Football outclassing the top-tier leagues' numbers. So, the potential the state has is undeniable. There is no dearth of talent in the state. When you choose a profession, you check every aspect of it. You check how much you could earn, what honour you would get from society and come football in Kerala, come stories of innumerable Jobby Justin. To prevent it, the KSEB, or whoever be the authority, needs to help Jobby by extending his leave period. Let him play. Let him chase his India dream. Let the commoner say "I was fortunate enough to see Jobby play."